Jim Harkins and Sun Lakes resident Dave Lott are prepared for their upcoming roles in the program. Each year on November 10 the U.S. Marine Corps celebrates throughout the world their founding birthday 240 years ago. Sun Lakes is no exception. 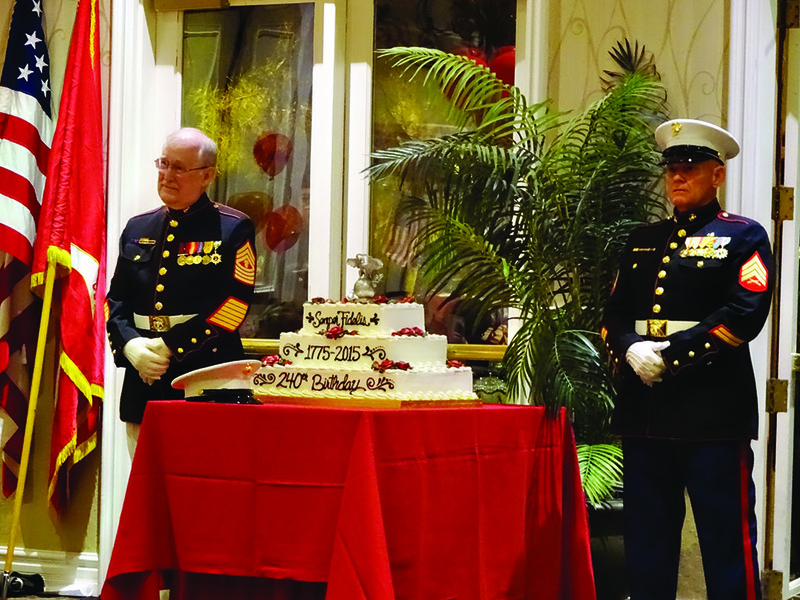 The Marines from the East Valley Marines Detachment 1296 held their annual Birthday Ball in November at the Oakwood Country Club. 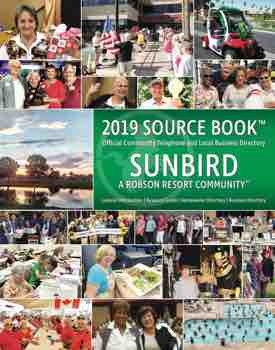 This year’s guest of honor was William L. “Spider” Nyland, a veteran of the Vietnam War and a retired United States Marine Corps four-star General who served as Assistant Commandant of the Marine Corps from 2002 to 2005. He retired from the Marine Corps in November 2005 after over 37 years of distinguished service. Over 300 guests were present for the dinner, ceremonies and dancing. The Marine JROTC from Vista Grande High School presented the colors and handled the cake ceremony, which includes recognizing our oldest Marine in attendance and our youngest Marine. This event is open to the public. All net proceeds go into our Wounded Warrior fund. Our date for next year’s ball is already on the calendar for November 12, 2016. Detachment 1296 of the Marine Corps League meets at 7:00 p.m. on the second Tuesday of each month in the Bradford Room at Oakwood Country Club. All visitors are welcome to attend and learn more about the organization. Visit our website at www.eastvalleymarines.org for more information.